If you’re a first time visitor, we certainly love the opportunity to meet you and yours. Please find the schedule of services below or if you would like to join a Bible study group right away, contact us. We look forward to seeing what God has in store for you. Without further-ado allow for a quick introduction to our Church. We are comprised of generations of committed Christians, located in Anchorage, Alaska. Life Church is a place where people of all backgrounds come together to love God, grow in faith, serve others, and share the apostolic doctrine. We are honored to witness God do amazing things – lives changed, marriages restored, families healed, and hearts made whole. We are committed to the concept of every individual finding and following God’s path for their life in accordance to scripture. So whether you’re a seeker who’s just starting to ask questions about God, or a committed Christian who wants to sink the roots of your faith even deeper, you can find a home here at Life Church. At Life Church we strive to love God with our whole heart, soul, mind and strength as we pursue a lifestyle that is pleasing to Him. 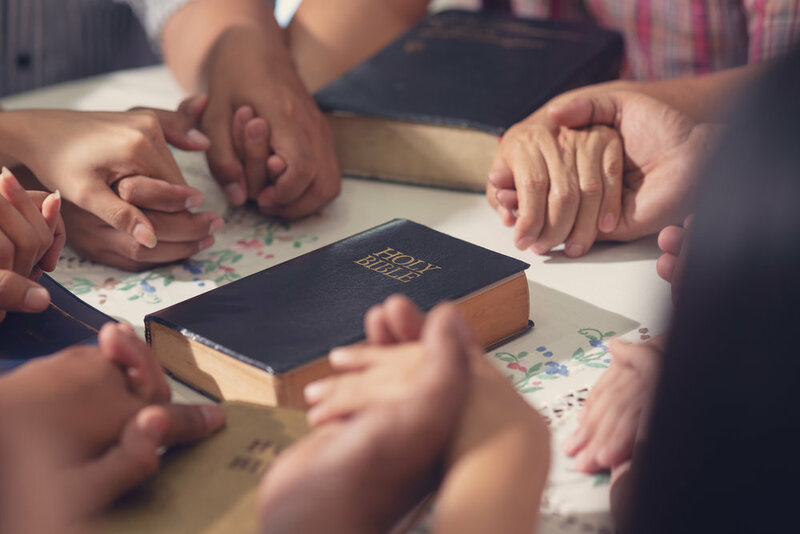 We grow stronger in our faith through a lifestyle of prayer, fasting, and study with a ministry staff committed to edifying the body, promoting growth in Christ Jesus. We desire to maintain the culture of servitude, serving those around us – both within and outside of our influence. We know that our assembly does not exist for ourselves, but for the good of those in need around us. We share the life-changing story of God’s power with others; we are committed to the Great Commission. Everyone has sinned and needs salvation. Salvation comes by grace through faith, based on the atoning sacrifice of Jesus Christ. (Acts 2:38; Romans 3:23-25; 6:23; Ephesians 2:8-9). As Christians, we are to love God and others. We should live a holy life, inwardly and outwardly, and worship God joyfully. The supernatural gifts of the Spirit are for the church today. (Mark 12:28-31; 2 Corinthians 7:1; Hebrews 12:14; 1 Corinthians 12:8-10). Miracles have not ceased because Jesus Christ has not changed (Hebrews 13:8). Christ shed His blood for the redemption of our souls, the healing of our bodies and the restoration of peace to our mind (Isaiah 53:5; Psalm 103:3). Believers are commanded to pray for the sick (Mark 16:18; James 5:14). Best church in the world with the best pastor!!! !